CARL - Do-Gooders of the Year 2017! Do-Gooders of the Year 2017! 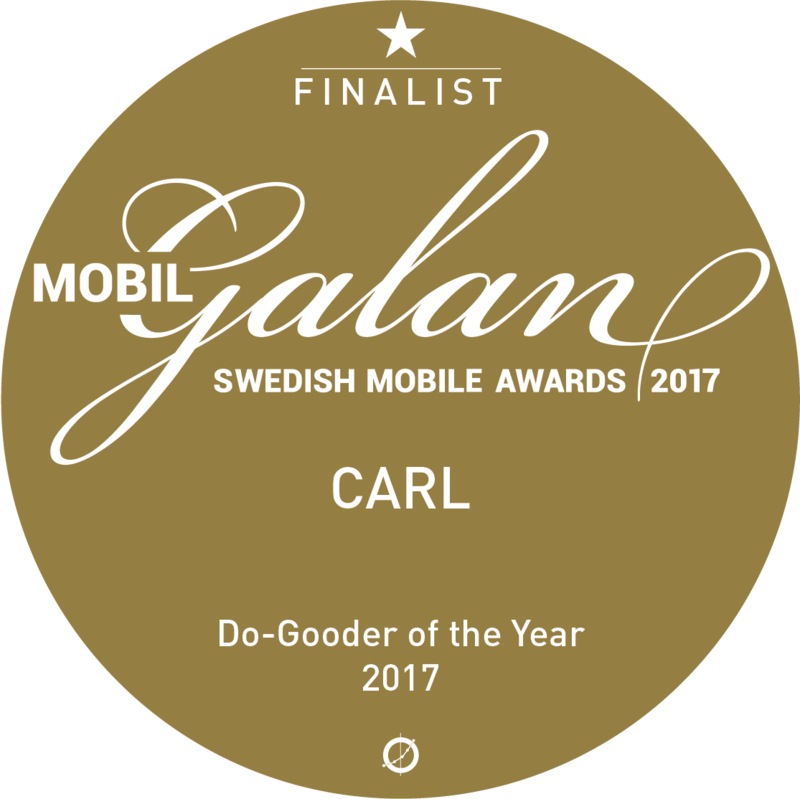 We have been nominated as a finalist in the category “Do-Gooders of the Year 2017” (previously Mobile for Good) for the Swedish award Guldmobilen by the Mobile Institute. Read more here about the nomination here Mobile Institute Blog. 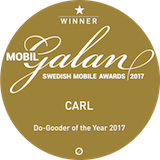 Looking forward meeing you all at Mobil Galan - Swedish Mobile Awards 2017! We will be represented at the yearly Mobile World Congress between Feb 25-28! Drop by Hall 7 Stand E41 and F41 at the Sweden Monter (Svenska Paviljongen) ask for Rickardh if you would like to have a demo or just say hi to us. We are excited to announce that we have won the procurement of the mobile location service that was called out by the Swedish Maritime Administration (JRCC) for the period 2019. We will continue supplying them with our service CARL. Our mission is to contribute with impactful solutions that utilize the advanced technology available in citizens pockets to all Search & Rescue organizations. Therefore we are now trying to lower the threshold for authorities in EU getting access to our platform for a evaluation within the frame of procurment that is applied in EU. NENA (National Emergency Number Association) annual conference this year will be held in San Antonio, Texas USA between June 3-8 2017 at Henry B. Gonzalez Convention Center and we are pleased to announce our presence. We are delighted to announce our participation in the Next Generation 112 Communications Plugtests event, held on 6-10 March in Sophia-Antipolis, France and organised by ETSI and EENA. We will be represented at the yearly Mobile World Congress! Drop by Hall 7 Stand 7E41 and ask for Rickardh if you would like to have a demo or just say hi. When we announced last week that the Swedish Police is using CARL, we have gotten a great response from both media and the public safety community. Last week we had our yearly meeting with the JRCC headquarter in Göteborg to summarize the usage and performance of CARL which usually happens after the maritime high season between May and September. CARL 2.0 is now live! After month of development and testing we are now thrilled to announce that as of today our next major release of CARL 2.0 has been approved and will now replace the CARL 1.0 just in time for the high season of JRCC (Swedish Maritime Administration). NENA (National Emergency Number Association) annual conference will be held in Indianapolis, Indiana USA between June 11-16 2016 at Indiana Convention Center and we are pleased to announce our presence. We will attend to the yearly EENA (Eurpean Emergency Number Association) conference in Prague. We are very interested in the efforts and progress of AML and e112. If you want to meet up just send me an email at johan.sanden@carl.life. During the SAREXPO International 2016, the new networking event for the Search and Rescue community we are accepted to the SAR expo innovation area with our solution CARL. Please visit us at the innovation area. We are happy to announce that we have signed an agreement with Swedish Maritime Administration for the period 2016/2017. We will supply them with our latest version of CARL™ (2.0).